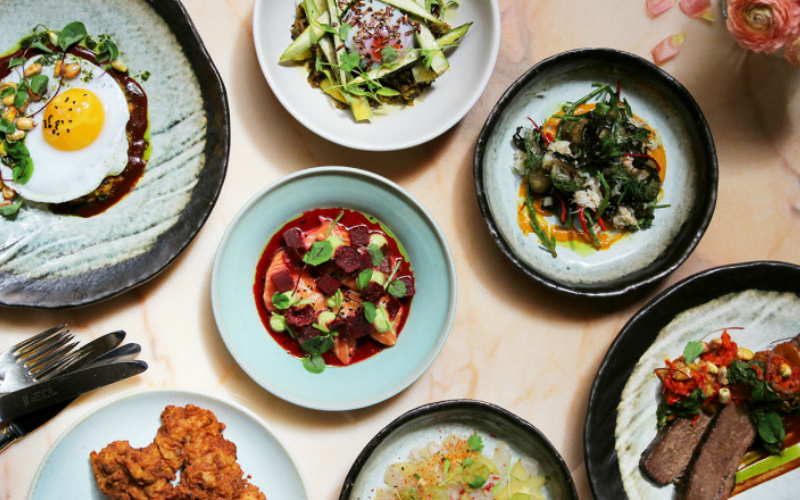 The Pachamama team has come east, opening a sister site to the Marylebone restaurant in Shoreditch just next door to The Hoxton. Pachamama East, like the original and the offshoot Chicama in Chelsea, is still largely Peruvian in style but sets itself apart by featuring Asian flavours across the menu too. Having not been back to the original Pachamama since Adam Rawson left, we weren’t too sure what to expect from the new place. But we’re happy to report that the food at Pachamama East is as good as, if not better, than the original. Split into soil, land and sea sections, we recommend going heavy on the ceviches. For us, the yellowfin tuna with pickled potato and the sea bass with nori are must orders, as well as the smoked mushroom ceviche. Eat all of them with a spoon, you’ll want to be drinking as much as that citrus-y dressing as possible. Another stand out winner from the land section was the lamb belly, which we actually remember from the original Pachamama; here, it was even better. There’s some interesting choices from the soil section too, including the miso-cured carrot with black quinoa and Peruvian kimchi, and the tapioca ‘marshmallows’, essentially deep fried squares of gooey tapioca. For dessert, we loved the chocolate mousse with toasted quinoa ice cream. The cocktail list continues the same fusion, mixing pisco with Asian ingredients as well as featuring bubble tea concoctions too. Still can’t beat a good classic pisco sour in our book though. The two-floor space looks pretty special too, with exposed concrete, pastel colours and plants in the main restaurant area, a sunken bar and a black-and-pink tiled staircase leading down to the private dining room, which is also due to host pop-ups and chef collabs next year.